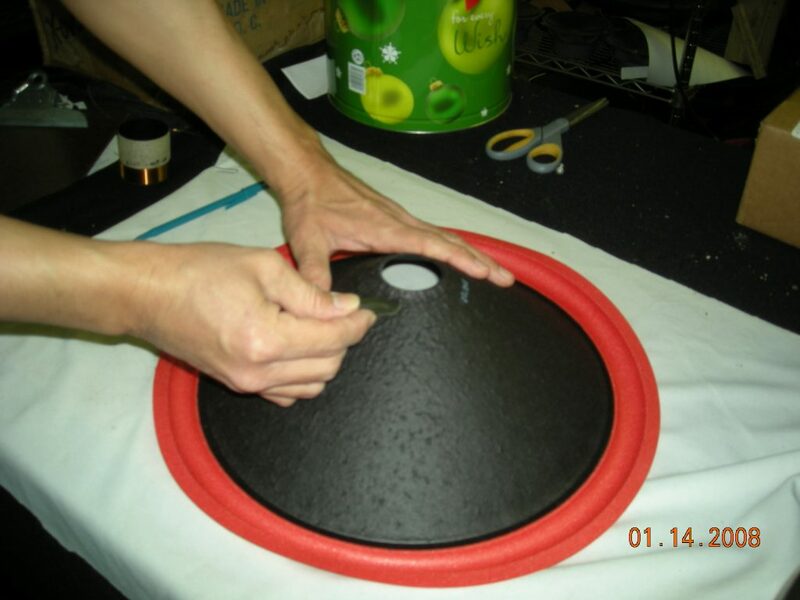 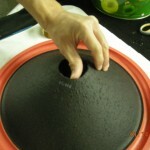 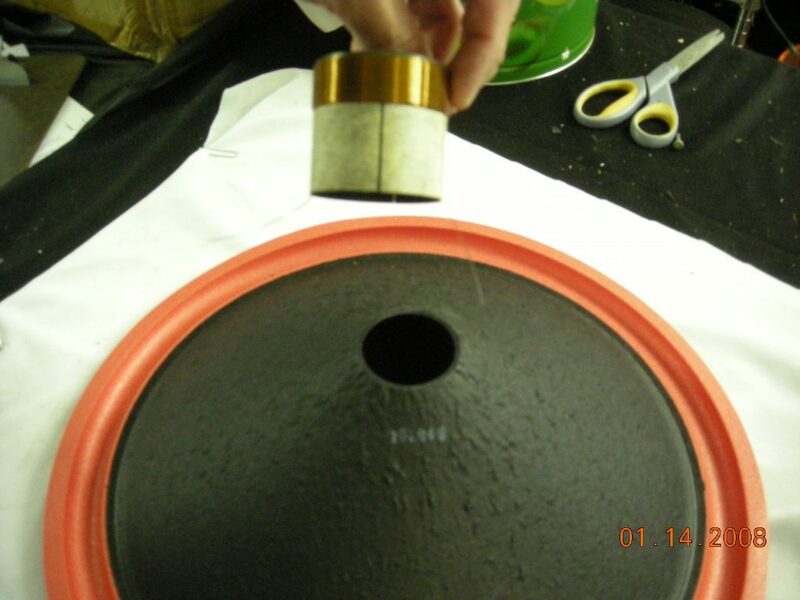 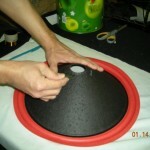 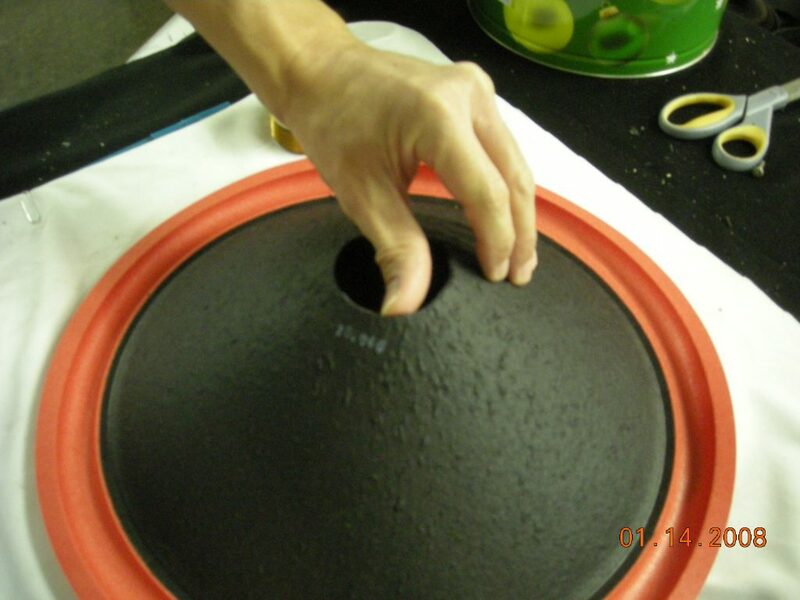 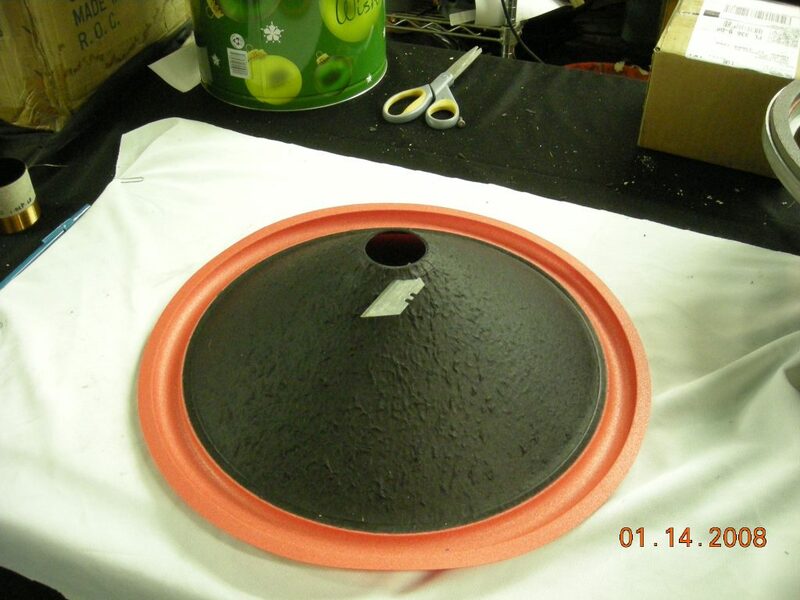 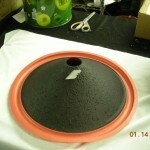 Use voice coil to outline the voice coil opening required on the cone. 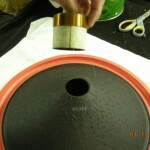 With a utility blade or exacto knife, cut cone throat to desired size. 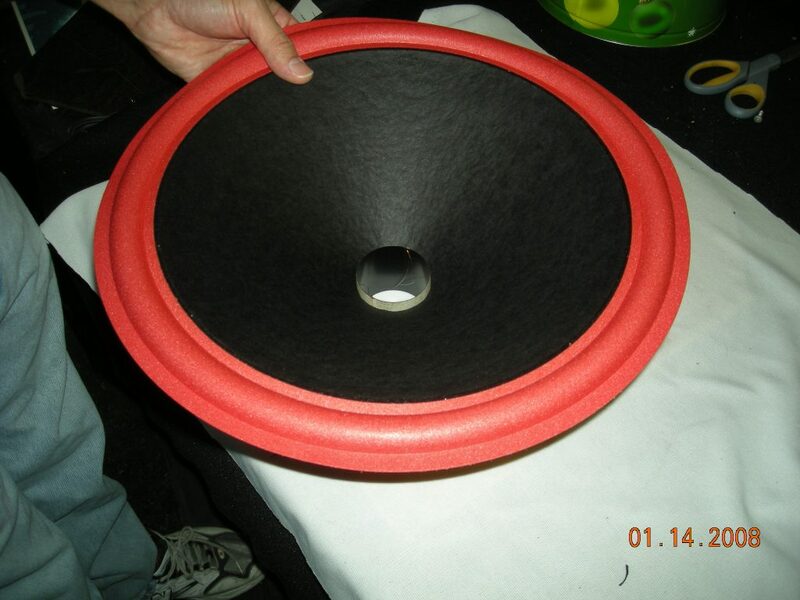 Smooth and enlarge the opening with the back of thumb nail until voice coil passes smoothly through the opening. 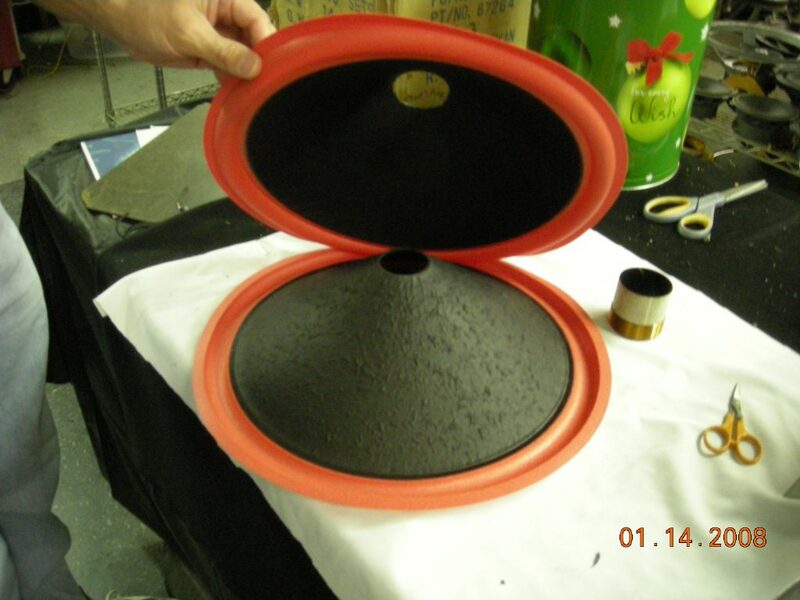 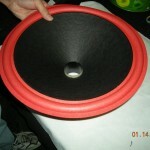 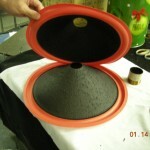 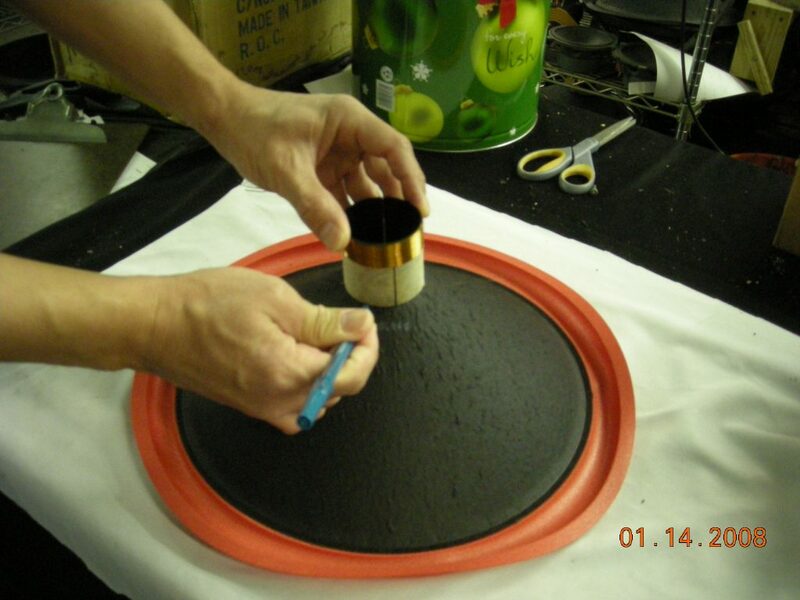 If two cones require voice coil enlargement, use first cone as a template for second cone.